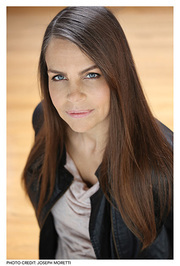 Margaret Stohl is the #1 New York Times, PW, USA Today, LA Times and Internationally bestselling co-author or author of twelve books, including the BEAUTIFUL CREATURES NOVELS, the DANGEROUS CREATURES NOVELS, the ICONS NOVELS, MARVEL'S BLACK WIDOW NOVELS, ROYCE ROLLS & CATS VS ROBOTS THIS IS WAR (forthcoming!) She writes the MIGHTY CAPTAIN MARVEL comic for Marvel Comics (ongoing) and has contributed to countless videogames; currently, she is a Narrative Director at Bungie. Goodreads Peeps! Please note I no longer review the books on my shelf, "stars"-wise. I do list books I read, and they're all automatically marked as 5 stars. That's because a) I don't list books that I didn't like enough to finish and b) I didn't want to Margaret Stohl is the #1 New York Times, PW, USA Today, LA Times and Internationally bestselling co-author or author of twelve books, including the BEAUTIFUL CREATURES NOVELS, the DANGEROUS CREATURES NOVELS, the ICONS NOVELS, MARVEL'S BLACK WIDOW NOVELS, ROYCE ROLLS & CATS VS ROBOTS THIS IS WAR (forthcoming!) She writes the MIGHTY CAPTAIN MARVEL comic for Marvel Comics (ongoing) and has contributed to countless videogames; currently, she is a Narrative Director at Bungie. I don't believe I've read another urban fantasy / YA set in Ireland. Has anyone else? We’d love your help. Let us know what’s wrong with this preview of Carrier of the Mark by Leigh Fallon. got these from my 10 y.o. who couldn't put them down. We’d love your help. Let us know what’s wrong with this preview of Fins Are Forever by Tera Lynn Childs. “Aunt Mercy put down her tiles, one at a time. I-T-C-H-I-N.
Aunt Grace leaned closer to the board, squinting. "Mercy Lynne, you're cheatin' again! What kinda word is that? Use it in a sentence." "I'm itchin' ta have some a that white cake." Which May New Release would you like to read in July? Books were randomly chosen from Goodreads' "Most Popular Books Published In May 2013" list. I look forward to discovering more of your work and I absolutely cannot wait for Icons! Thank you for accepting my friend invite here on Goodreads! Most of all, thank you for creating this wonderful universe of Beautiful Creatures! I must admit that because I wanted to see the film that came out in Greece yesterday, I bought the books (both mobi and audiobooks!) last weekend and I was....speechless!!! Listening to Beautiful Creatures' narrator was amazing! and all the audio effects and THE SONG in the audiobook added tremendously to the overall impression! (Sixteen moons is now my mobile ringtone!). All the best luck to your upcoming (and already out!) books!!! But you don't need luck when the books "speak" for themselves!! On behalf of everyone everywhere. Thank you so much for writing the Beautiful Creatures series ! Thank you very much for adding me as your friend. Love your books! Thanks Margaret for accepting my friendship request. Thank you for the accepting my friend request. I think beautiful Creature is amazing. Hi Margaret , thx for accepting my request :) Do you have any advice for becoming a writer? Thanks for accepting my friend request, Margaret. Hello Margaret, how are you? Thanks for accepting my friend request. Have a nice day. I didn't get to say hello to you today, but thank you so much for helping out at the WriteGirl Fiction Workshop! Again. Thanks for the thumbs up, Marry, Brooke, Brigid and Tina! And Hi to everyone else! I just popped by Kami's page and I wanted to visit yours too to say hello and post a link to my review of Beautiful Creatures. I know you both probably see many reviews, but I just wanted to let you know how much I loved both of your writing. Hi Margaret! Thanks for the add. I loved Beautiful Creatures. :] Can't wait for the sequel. ttyl! I'm part Croatian so it's exciting to see Beautiful Creatures there! A wonderfully Epic story! I couldn't get enough of Beautiful Creatures, I can't wait for the sequel!! Congrats to the both of you on an INCREDIBLE debut! Thanks so much for your review, Margie:) It means a lot coming from such a fabulous writer. I hope SISTERS RED finds its way into your hands as well!